Boil the leeks for a few minutes until tender. 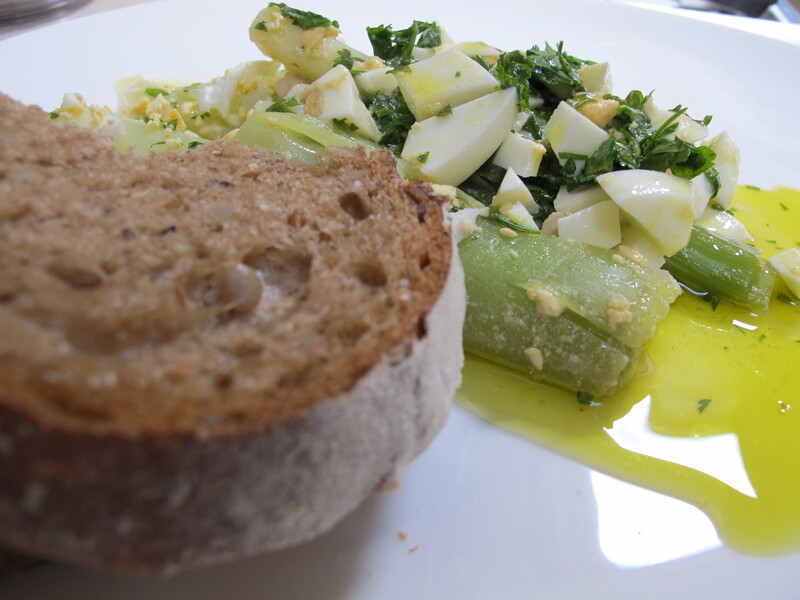 While the leeks are cooking, make the dressing. Whisk the vinegar, mustard and seasoning. Add the olive oil. Chop the parsley and stir into the dressing. Drain the leeks thoroughly and put into a shallow dish. 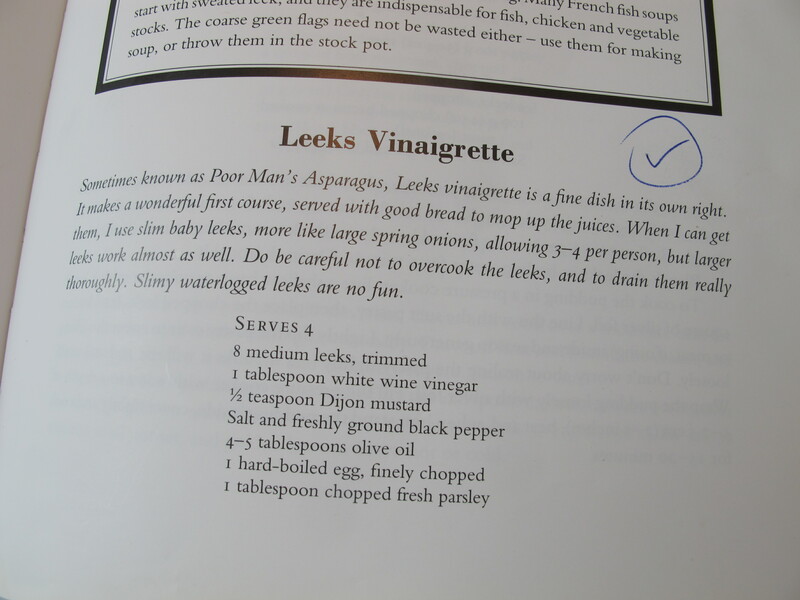 While the leeks are still hot, pour the dressing over the top. Set aside to cool. Before serving, sprinkle chopped hard-boiled egg on top. We eat this with crusty bread and a cold beer, what a surprise! This entry was posted in A love of food and tagged Andalucia, recipes, Sandra Danby, Spain, spanish finca, Spanish food on May 13, 2013 by sandradan1. Sounds very simple and deliciously Andalucian. I think we´ll have that this week. In our part of Andalucia the eggs from the local market are real eggs. They come in different shades and slightly different sizes, The yolks are deep yellow and very tasty, unlike the sickly-looking pale yellows I remember from London. We don’t have our own hens but luckily our neighbour’s hens are very prolific, so we do benefit from the occasional gift of eggs. But even the supermarket eggs taste better than the UK ones. Not sure if it’s because the supply chain is shorter.